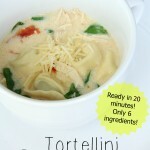 This soup was so easy and tasted amazing. You can use rotisserie chicken to make it even easier. 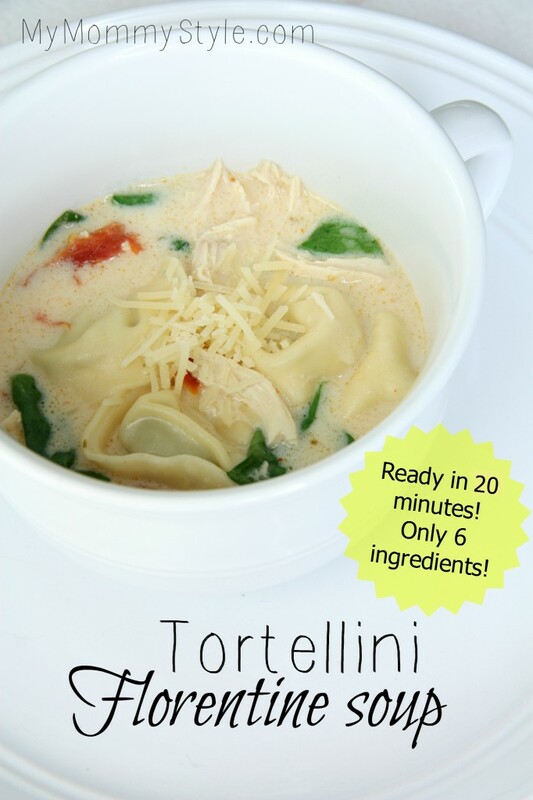 In a large pot, cook tortellini according to package directions. Drain, set aside. In the same large pot combine broth and Alfredo sauce. Stir in chicken and tomato strips. Heat just to boiling; reduce heat. Simmer, uncovered for 5 minutes. Add tortellini and spinach. Cook 1 to 2 more minutes.